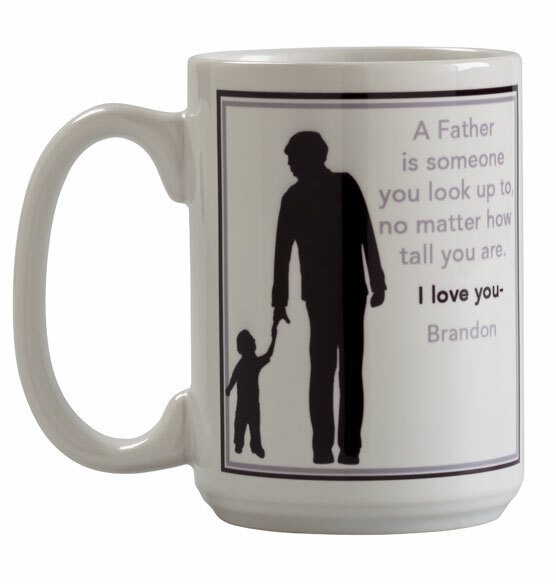 Each time he sips his morning coffee or tea, Dad’s heart will be warmed by the sweet sentiment on this Father mug. 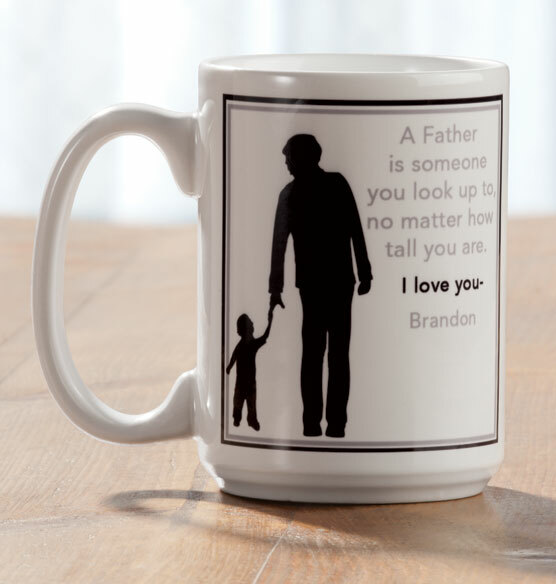 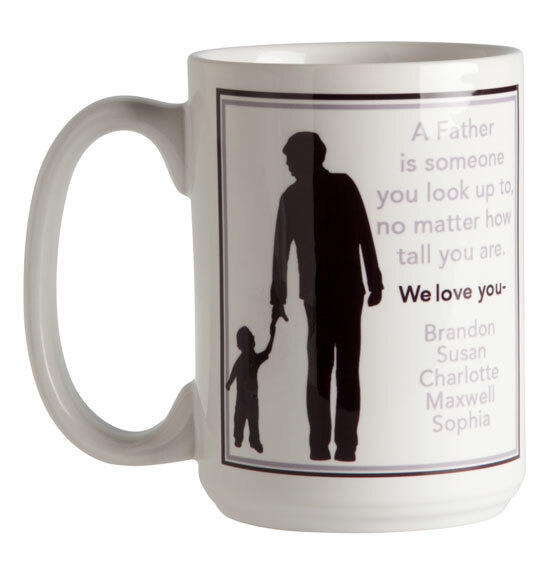 Personalized with the name(s) of his child or children, the custom mug’s verse celebrates the affection and adoration children feel for their father. 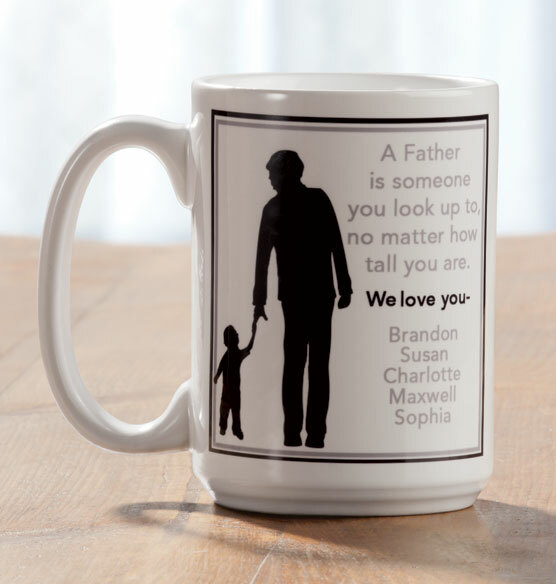 Makes a one-of-a-kind gift for a child or group of siblings to give their father for Father’s Day.